MAC APP STORE PLAYERS: DLCs MUST be purchased WITHIN the app. Steam DLCs are NOT compatible with the MAC APP STORE version. Civilization VI: Rise and Fall builds upon the critically-acclaimed gameplay experience of Civilization VI, giving players new choices, strategies, and challenges as they guide a civilization through the ages. The expansion introduces new Golden Ages and Dark Ages, a new city Loyalty system, and Governors who can be stationed in players’ cities. 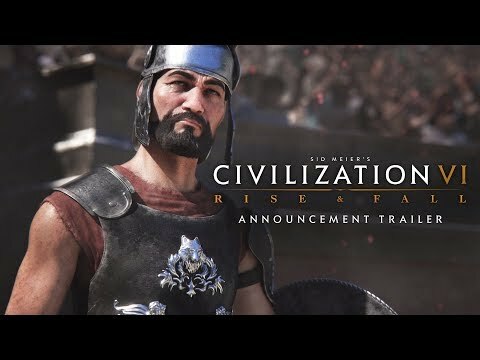 Civilization VI: Rise and Fall also adds nine new leaders and eight new civilizations, including returning fan-favorites Shaka, leading the Zulu, and Genghis Khan leading Mongolia. New leaders appearing for the first time in a Civilization game include Queen Seondeok, leading Korea, and Robert the Bruce, leading Scotland.